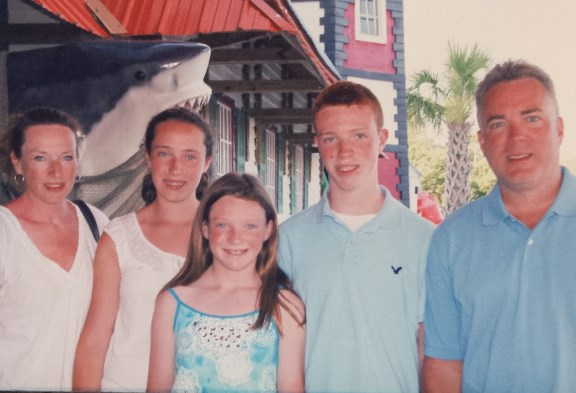 Anna Jerome was diagnosed with AML, an aggressive form of Leukemia, when she was 14. Anna never complained and did everything the nurses and doctors asked. She initially declined a "Make a Wish" because she was afraid of taking it away from someone who REALLY needed it. She was kind, selfless and wanted to make others happy. In honor of her kind spirit, Anna's Pals is a non-profit organization that donates funds to childhood cancer research, as well as programs to improve the quality of life for hospitalized children and their families. We currently provide Chinese Food dinners , cookie kits, toys, child-friendly sheets, crafts, candy and games to the blood cancer and disorders floor at Boston Children's Hospital. ​Do you know that immune compromised children are confined to their homes? We would like to have a beach house that is safe for immune compromised kids and their families. Anna's Pals would like to give families a place to forget about illness and restrictions, and truly enjoy the time they have with one another. 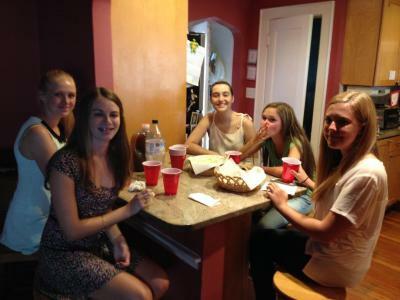 The Pals are an amazing group of girls who supported Anna and one another throughout Anna's illness. 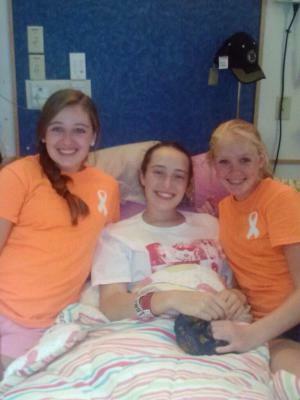 One, two, or all of these girls were in Anna's hospital room almost daily. They, along with Anna's siblings, brought homework, treats, laughs and love to that room. Without these Pals, none of us would have made it through. Anna and her pals are an inspiration. 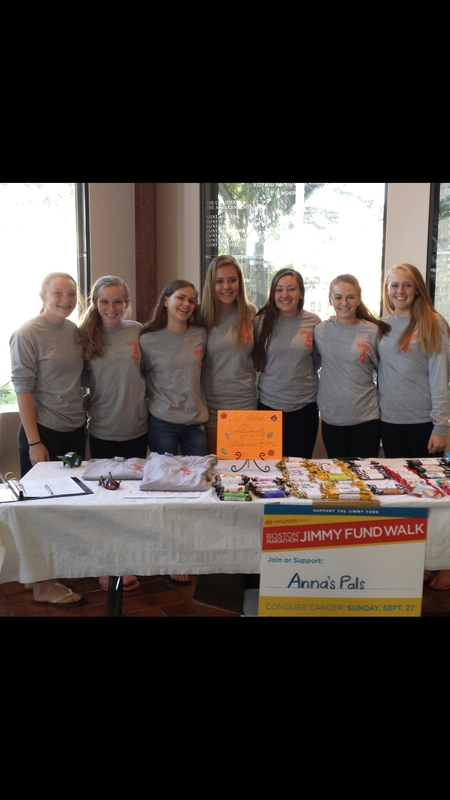 The Pals selling T-Shirts and candy bars as a fundraiser for the Jimmy Fund Walk. 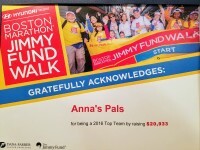 Anna's Pals raised over $40,000.00 by supporting the Jimmy Fund Walk. Anna's Pals is a 501(c)(3) charitable organization trying to preserve Anna's kind spirit by using her wish to help others. 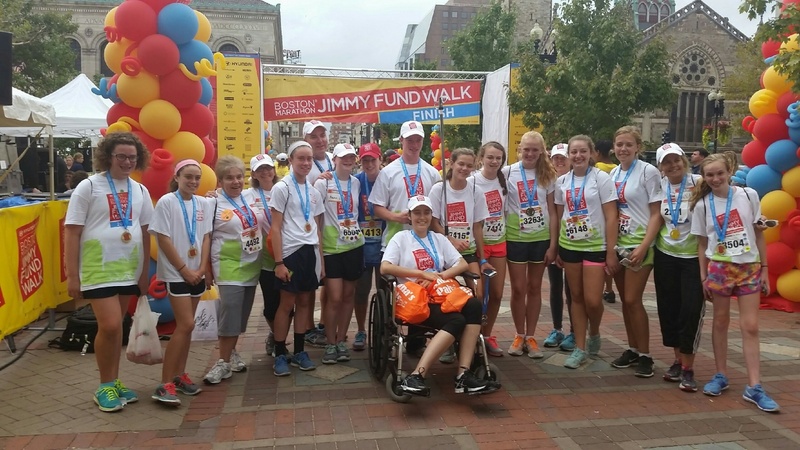 Anna's Pals with a few friends at the finish line of the 2015 Jimmy Fund Walk. 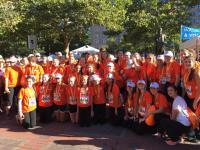 Anna with her 2014 Jimmy Fund Walk team. Butterfly Logo created by "Pal"